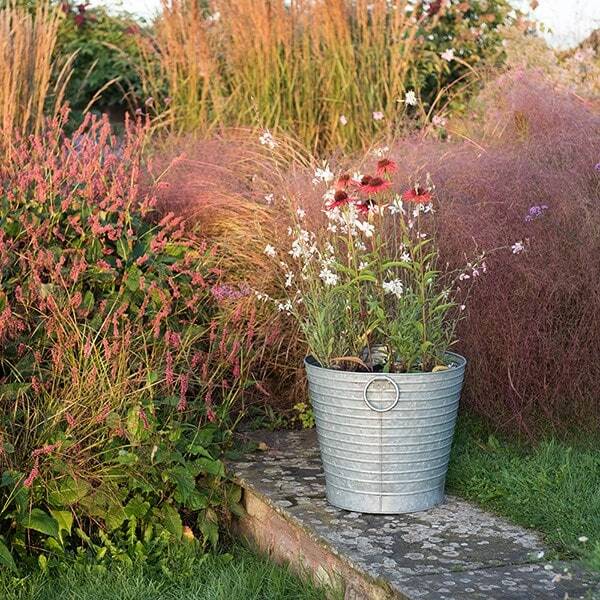 These industrial ribbed metal containers look great planted up with a mass of one plant or a combination of several to create clusters of colour. 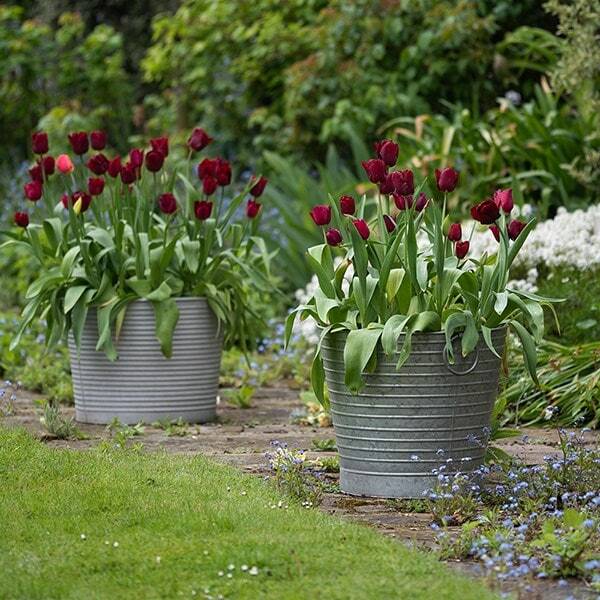 Lighter and more manoeuvrable than traditional terracotta pots, the muted grey finish provides the perfect backdrop to showcase vibrant displays. Robust ring handles on either side make them easy to lift and reposition around the garden. 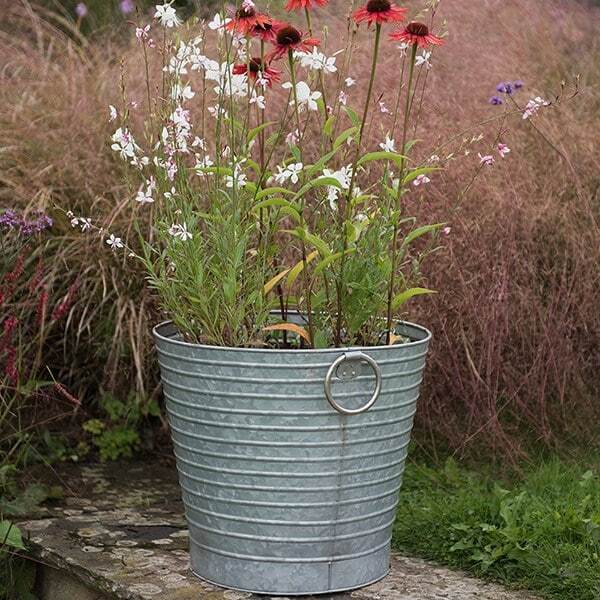 Made from rust-resistant galvanised steel with three 12mm drainage holes in the base. 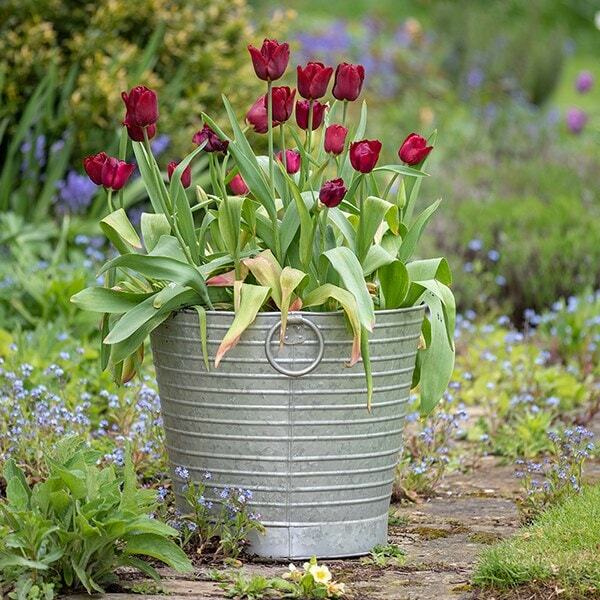 Hello, The base width of the ribbed galvanised tub is 34.5cm. Hope this helps! What are the grasses in the background called?